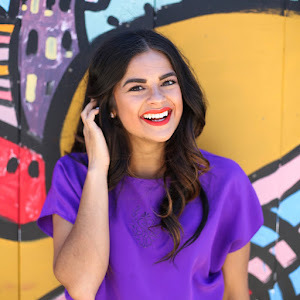 Summer Brights with thredUP | Priya the Blog | life & style in Nashville & beyond! This outfit, though as girly and sugary sweet as they come, still feels completely like my style. 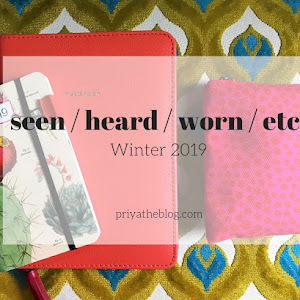 I know I've told this story on the blog before, but when I was in college, I was thrilled to get interviewed for the style section of our online newspaper thing. I had described my personal style as "quirky classy" or, "if you wore J.Crew in middle school", and thought that captured it pretty well! Until I read the published article where I was quoted as saying my personal style was "quirky middle schooler." Not quite. No such thing as bad publicity, right? 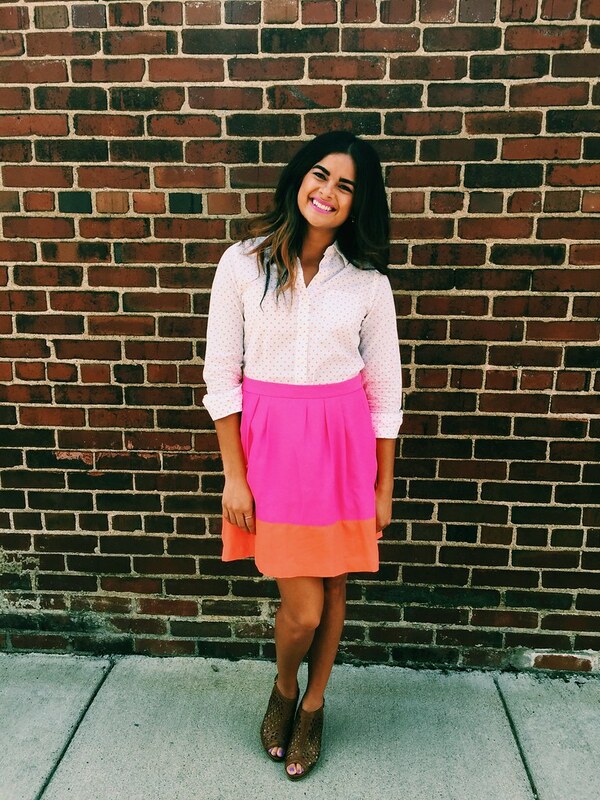 I found myself discussing personal styles with my co-workers on the day I wore this outfit, after several people commented on how bright I looked! While I can totally get into the neutral/minimal/Americana/all black ensembles that are so trendy right now, I still love bright colors and patterns and probably will until I age out. I'm really thrilled that almost this entire outfit is new-to-me via thredUP- a company I've heard great things about for years and finally got to try! 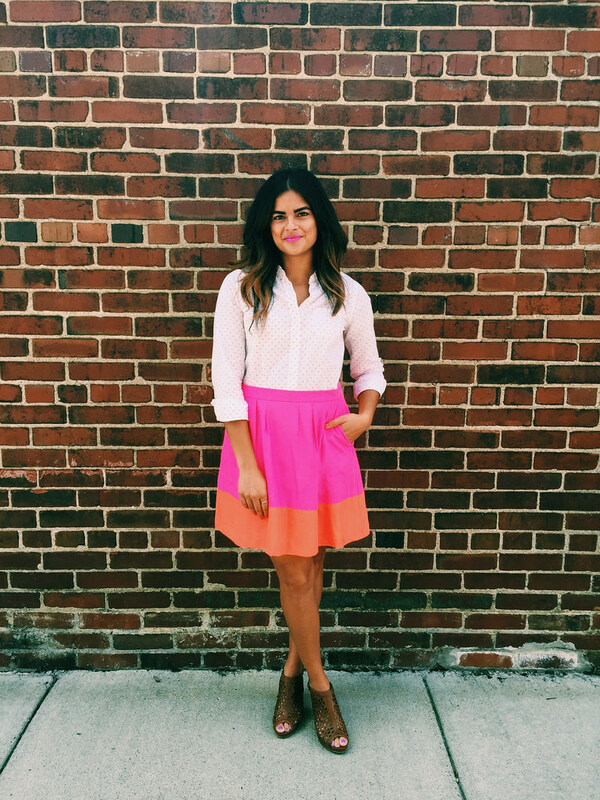 Are you guys familiar with thredUP? 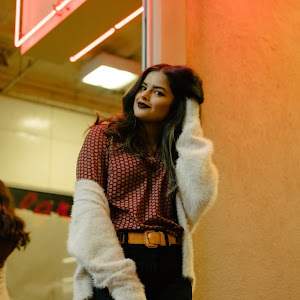 They're a San Francisco based online secondhand shop, where you can find virtually anything and everything; from brands like J.Crew, Gap, Anthropologie, Free People, H&M, you name it! 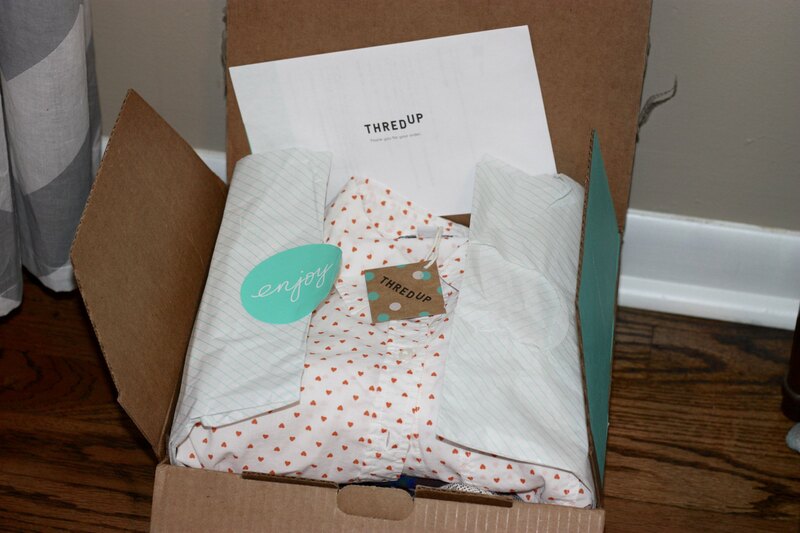 You can tell that thredUP puts a huge emphasis on customer experience: from the high quality of the items they sell, to the tracking update emails, and delivery and packaging! How cute is the wrapping and those custom tags? I was seriously pleased with just how much great stuff I got using only the credit they sent me! Like, enough to put together several fantastic outfits. 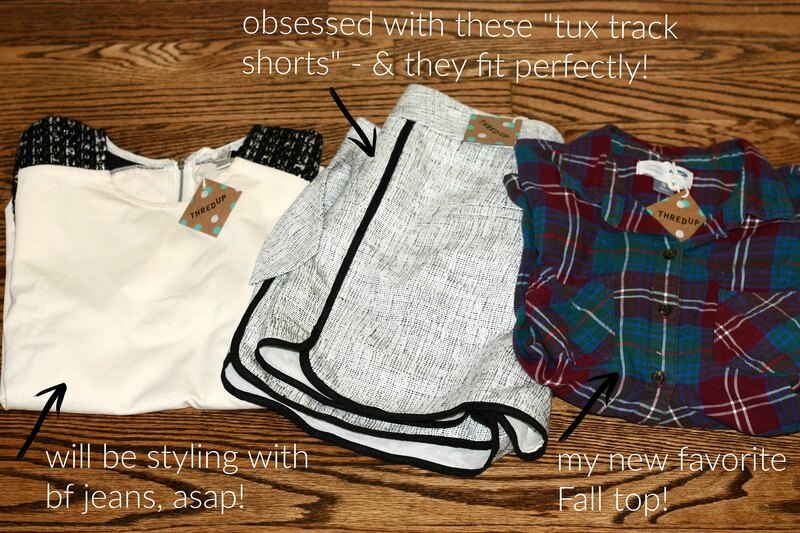 - Use the filter feature: thredUP has thousands of items (with more added daily!) so it can be a little overwhelming at first. I knew I wanted to put an outfit together, so after browsing and finding the colorblocked skirt, I knew I wanted some kind of neutral/printed button-up to go with it. - Look out for promo codes! In addition to the credit I had, thredUP offers a myriad of other discount codes (for first time users, etc.) The really neat thing is I was able to combine promo codes, which you normally can't do- making for some seriously great deals! - Selling: the other half of thredUP is the closet clean-out/sell option, which I haven't had the chance to do yet, but hear great things about. You can literally clean out your closet and send items to thredUP, which they will then price out and sell for you. 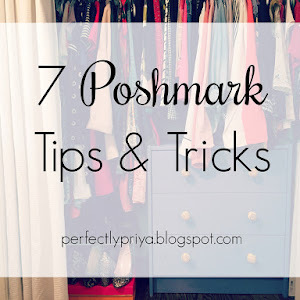 Could be a great alternative to other secondhand services for nicer, name brand items. - Referrals: thredUP has a fantastic give $10, get $10 referral program, which I've already sent to my sisters and some friends! They can get something cool and so can you. 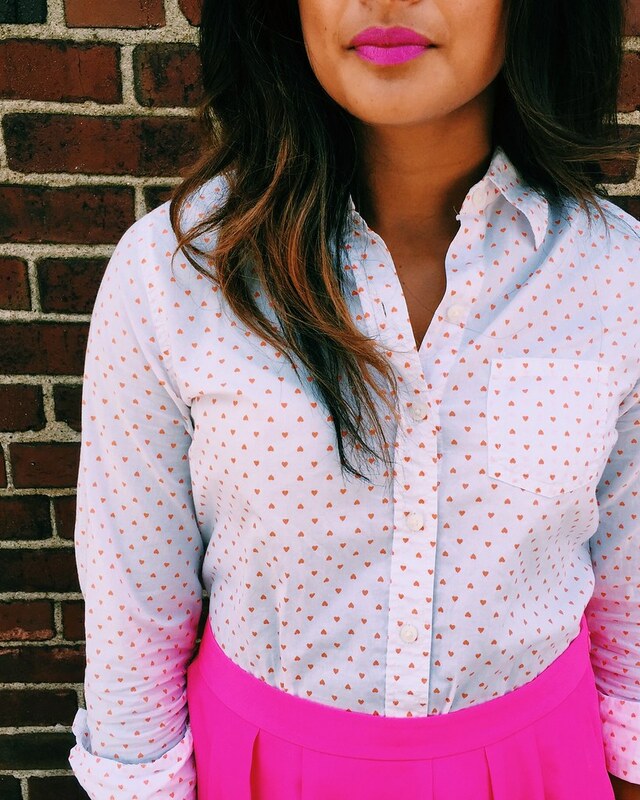 And just for you guys- thredUP has provided the code JCREW50 for 50% off J.Crew items for first time orders! With their already steeply discounted items + that code, there are some seriously good deals waiting for you, friends. 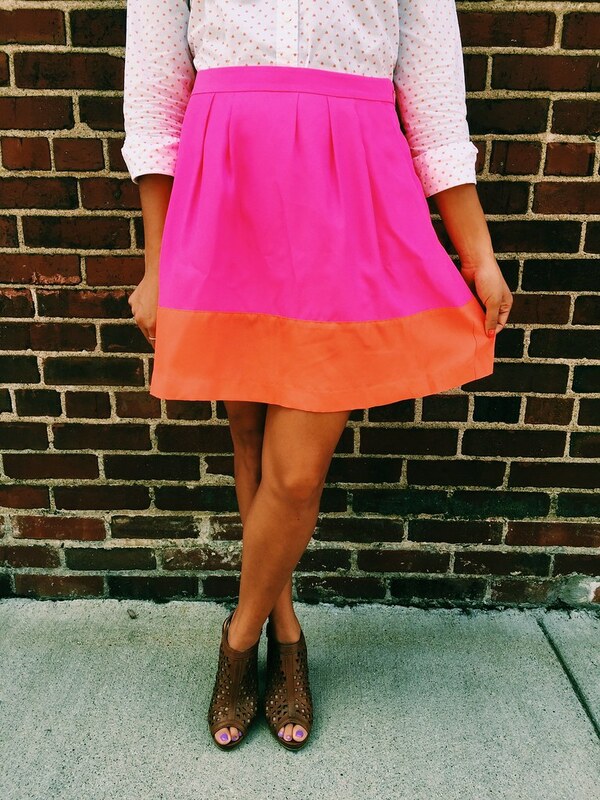 Use this link right here to head over to thredUP and start shopping! 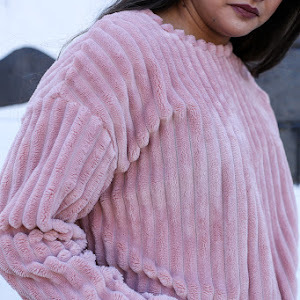 ThredUp provided me with a shopping credit in exchange for a review, but all opinions are my own and I genuinely *love* what they're doing!